We wrote a couple of months ago about how ISVs are rapidly evolving their capabilities and products to meet the growing needs of next generation Managed Service Providers (MSPs), and we heard from Cloud Health Technologies about how they are Enabling Next-Generation MSPs with cloud management tools that span the breadth of customer engagements from Plan & Design to Build & Migrate to Run & Operate and to Optimize. 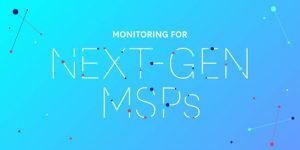 Today we are sharing a guest post from APN Advanced Technology and SaaS Partner, Datadog, as they address the shift from traditional to next gen monitoring and how these capabilities elevate the level of value that an MSP can deliver to their customers. Let’s hear from Emily Chang, Technical Author at Datadog. To stay competitive in today’s ever-changing IT landscape, managed service providers (MSPs) need to demonstrate that they can consistently deliver high-performance solutions for their customers. Rising to that challenge is nearly impossible without the help of a comprehensive monitoring platform that provides insights into customers’ complex environments. Full visibility into rapidly scaling infrastructure and applications. Alerting that automatically detects abnormal changes. Analysis of historical data to gain insights and develop new solutions. Continuous compliance in an era of infrastructure-as-code. As companies continuously test and deploy new features and applications, MSPs need to be prepared to monitor just about any type of environment and technology at a moment’s notice. Whether their customers are running containers, VMs, bare-metal servers, or all of the above, Datadog provides visibility into all of these components in one place. Datadog’s integration for Amazon Web Services (AWS) automatically collects default and custom Amazon CloudWatch metrics from dozens of AWS services, including Amazon Elastic Compute Cloud (Amazon EC2), Elastic Load Balancing, and Amazon Relational Database Service (Amazon RDS). In total, Datadog offers more than 200 turn-key integrations with popular infrastructure technologies. 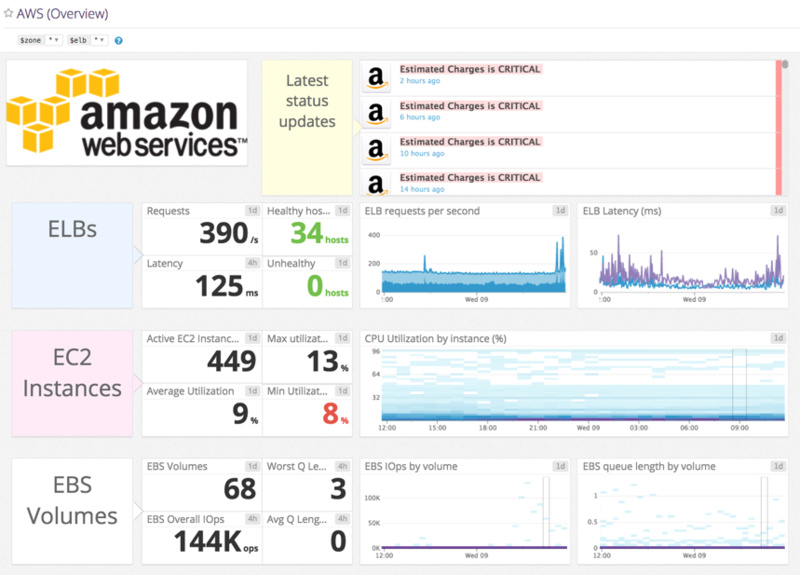 Many integrations include default dashboards that display key health and performance metrics, such as the AWS overview dashboard shown below. Infrastructure-aware APM gives MSPs full-stack observability for their customers’ applications, which is critical for troubleshooting bottlenecks in complex environments. Because today’s dynamic cloud environments are constantly in a state of flux, MSPs can benefit immensely from sophisticated alerts that can distinguish abnormal deviations from normal, everyday fluctuations. As customers’ infrastructure rapidly scales to accommodate changing workloads, what constitutes a normal/healthy threshold often will need to scale accordingly. Customers may also wish to track critical business metrics, such as transactions processed, which often exhibit normal, user-driven fluctuations that correlate with the time of day or the day of the week. Both of these scenarios explain why threshold-based alerts, while helpful for many types of metrics, are not ideal solutions for detecting more complex issues with modern-day applications. To accommodate these challenges, next-generation MSPs need a monitoring solution that uses machine learning to automatically detect issues in their customers’ metrics. Datadog’s anomaly detection algorithms are designed to distinguish between normal and abnormal trends in metrics while accounting for directional trends, such as a steady increase in transaction volume over time and seasonal fluctuations. Datadog also uses machine learning for outlier detection—algorithms that determine when a host or group of hosts behaves differently from its peers. This effectively enables MSPs to make sense of how resources are being used within a customer’s infrastructure, even as it rapidly scales to accommodate varying workloads. Whenever an outlier monitor is triggered, MSPs can consult the monitor status page, like the one shown below, to quickly understand when the outlier was detected, and which component(s) of the infrastructure it may impact. Infrastructure-as-code has revolutionized the way that organizations deploy new assets and manage their existing resources, enabling them to become more agile, continuously deploy new features, and quickly scale resources to respond to changing workloads. However, as these tools are more widely adopted, they also require organizations to monitor their assets more carefully, in order to meet compliance requirements. Datadog integrates with key infrastructure-as-code tools like Chef, Puppet, and Ansible to provide MSPs with a real-time record of configuration changes to each customer’s infrastructure. 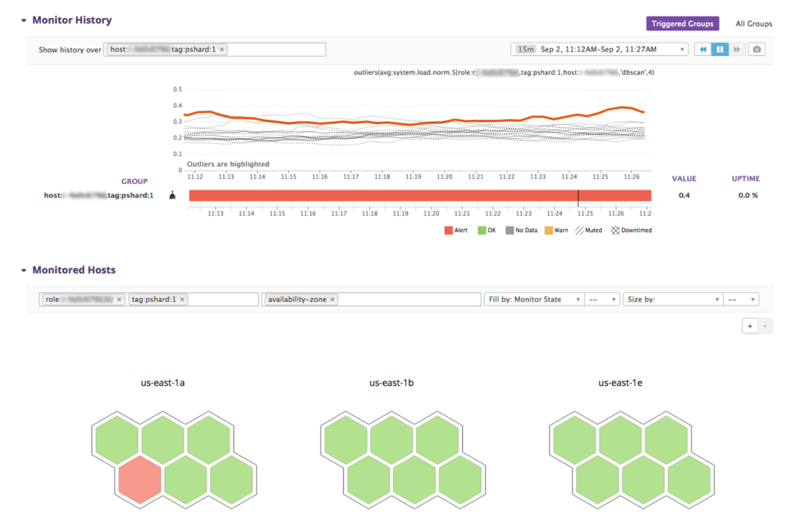 Datadog also ingests AWS CloudTrail logs to help MSPs track API calls made across AWS services and aggregates them in the event stream for easy reference. In the example below, you can see that CloudTrail reports any successful and failed logins to the AWS Management Console, as well as any EC2 instances that have been terminated—and who terminated them. With all of this data readily available, MSPs can track critical changes as they occur in real time and set up monitors to proactively audit and enforce continuous compliance of their customers’ AWS environments. They can also search and filter for specific types of changes in the event stream and then overlay them on dashboards for correlation analysis, as shown below. Event-based alerts help MSPs automatically detect unexpected changes and/or immediately notify their customers about events that may endanger compliance requirements. These alerts can also be configured to trigger actions in other services through custom webhooks. By making all of this information available in one central location, Datadog prepares MSPs with the data they need to respond quickly to compliance issues. Datadog is pleased to be able to provide monitoring capabilities that help MSPs navigate the challenges of delivering high-performance solutions for dynamic infrastructure and applications. To learn more about how Datadog helps fulfill AWS MSP Partner Program checklist items needed to apply for the AWS Managed Service Program, download our free eBook. You can also view a recording of our recent webinar with AWS and CloudHesive, “What is Means to be a Next-Generation Managed Service Provider” here. As a solutions architect at AWS, I get opportunities to answer customer and partner queries. Many queries require extensive research. This blog post is an outcome of my research on various encryption options such as Oracle Transparent Data Encryption (TDE) and Oracle Native Network Encryption (NNE) and SSL options on Amazon RDS. It explains how Amazon RDS supports Oracle TDE, Oracle NNE, and SSL. If you are an architect or a developer, this post will help you plan and configure storage and network encryption on Amazon RDS. You should be aware of the need to encrypt data at rest and how Oracle TDE, Oracle NNE, and SSL can help you achieve your encryption goals. Oracle Database uses authentication, authorization, and auditing mechanisms to secure data in the database, but not in the operating system data files where data is stored. To protect these data files, Oracle Database provides Transparent Data Encryption (TDE). TDE encrypts sensitive data stored in data files. To prevent unauthorized decryption, TDE stores the encryption keys in a security module external to the database. TDE enables you to encrypt sensitive data, such as credit card numbers, stored in tables and tablespaces. Encrypted data is transparently decrypted for a database user or application that has access to data. TDE helps protect data stored on media in the event that the storage media or data file gets stolen. Database users and applications do not need to manage key storage or create auxiliary tables, views, and triggers. An application that processes sensitive data can use TDE to provide strong data encryption with little or no change to the application. TDE supports the Advanced Encryption Standard (AES-256, AES-192, and AES-128), and the Triple Data Encryption Algorithm (3DES). Oracle Native Network Encryption (NNE) and SSL protect the confidentiality of Oracle data as it is transmitted across the network. Encrypting Oracle network traffic safeguards sensitive data such as social security numbers, credit card numbers and other personally identifiable information against packet sniffing. From Oracle 10.2.0.1 onward, Native Network Encryption and TCP/IP with SSL are no longer part of the Advanced Security Option. Amazon RDS for Oracle provides these options on all editions. Oracle TDE supports two encryption modes: TDE tablespace encryption and TDE column encryption. TDE tablespace encryption is used to encrypt entire application tables. TDE column encryption is used to encrypt individual data elements that contain sensitive data. You can also apply a hybrid encryption solution that uses both TDE tablespace and column encryption. Amazon RDS uses option groups to enable and configure additional features that make it easier to manage data and databases, and to provide additional security for your database. The TDE option is a permanent option that cannot be removed from an option group. 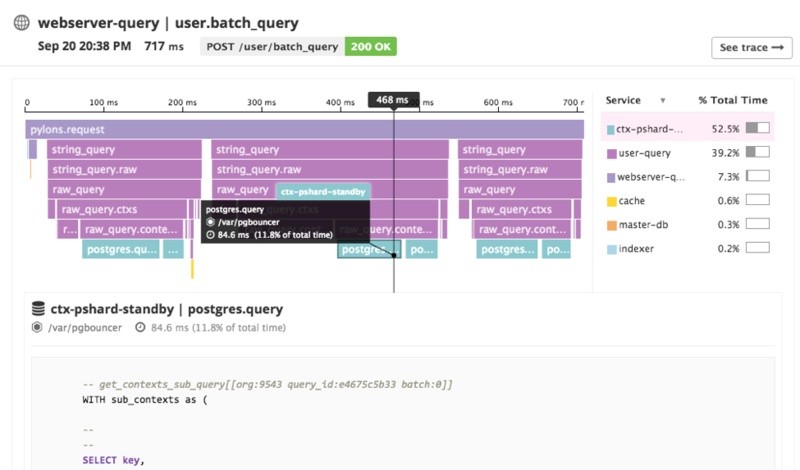 Once associated, that option group cannot be removed from a DB instance. You cannot disable TDE from a DB instance once that instance is associated with an option group with the Oracle TDE option. Amazon RDS manages the Oracle Wallet and TDE master key for the DB instance. You do not need to set the encryption key using the command ALTER SYSTEM set encryption key. You can create an option group and add the TDE option or modify the associated option group to add the TDE option if the DB instance is not associated with an option group that has the TDE option enabled. For information about creating or modifying an option group, see Working with Option Groups. For information about adding an option to an option group, see Adding an Option to an Option Group. Associate the DB instance with the option group with the TDE option. For information about associating a DB instance with an option group, see Modifying a DB Instance Running the Oracle Database Engine. If you no longer want to use the TDE option with a DB instance, you must decrypt all your data on the DB instance, copy the data to a new DB instance that is not associated with an option group with TDE enabled, and then delete the original instance. You can rename the new instance to be the same as the previous DB instance if you prefer. AWS CloudHSM is a service that lets you use a hardware appliance called a hardware security module (HSM) for secure key storage and cryptographic operations. You can use AWS CloudHSM with an Oracle Enterprise Edition DB instance to store TDE keys when using Oracle TDE. You enable an Amazon RDS DB instance to use AWS CloudHSM by setting up an HSM appliance, setting the proper permissions for cross-service access, and then setting up Amazon RDS and the DB instance that will use AWS CloudHSM. An AWS CloudHSM control instance that will communicate with the HSM appliance using port 22, and the AWS CloudHSM endpoint. The AWS CloudHSM control instance is an EC2 instance that is in the same VPC as the HSMs and is used to manage the HSMs. An Amazon RDS Oracle DB instance that will communicate with the Amazon RDS service endpoint, as well as the HSM appliance, using port 1792. The AWS Key Management Service (AWS KMS) makes it easy for you to create and control the keys used to encrypt your data. AWS KMS is integrated with other AWS services, including Amazon Elastic Block Store (Amazon EBS), Amazon Simple Storage Service (Amazon S3), Amazon Redshift, Amazon Elastic Transcoder, Amazon WorkMail, and Amazon Relational Database Service (Amazon RDS), to make it simple to encrypt your data with encryption keys that you manage. AWS KMS is the default option used to perform encryption in Amazon RDS for Oracle databases. While creating an Oracle 11g Enterprise Edition Database instance, you can optionally choose encryption. Native network encryption (NNE) gives you the ability to encrypt database connections, without the configuration overhead of TCP/IP and SSL/TLS and without the need to open and listen on different ports. NNE not only encrypts the connections but also checks the integrity of the communication by comparing checksums. Amazon RDS for Oracle uses option groups to enable and configure NNE. The NNE is not a permanent option, so the option can be removed if you no longer want to use the option. To use Oracle Native Network Encryption option on an Amazon RDS Oracle DB instance, you must follow the Oracle Native Network Encryption task. You enable SSL encryption for an Amazon RDS Oracle DB instance by adding the Oracle SSL option to the option group associated with the DB instance. 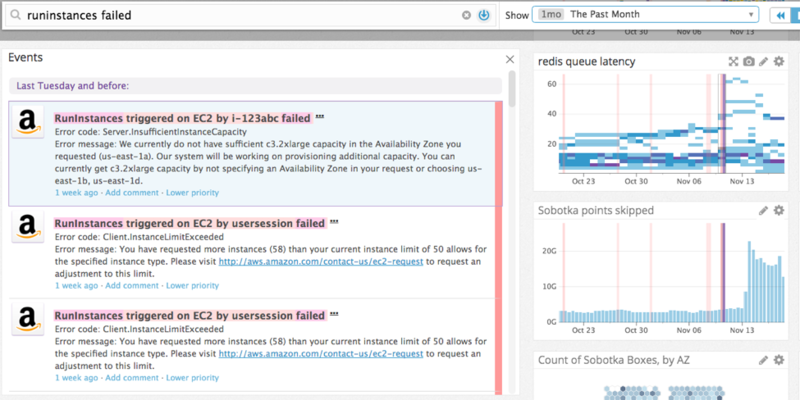 Amazon RDS uses a second port for SSL connections which allows clear text communication and SSL-encrypted connections to establish between an Amazon RDS Oracle DB instance and a client. You can use various clients such as Oracle SQL*Plus and JDBC client to connect to an Amazon RDS Oracle instance. You can reference the following sections to configure those clients. In this post, I described how you can implement Oracle TDE, Oracle NNE, and SSL successfully on Amazon RDS, and also touched upon some important security and encryption services like Amazon KMS and AWS CloudHSM. If you’d like more information, you may find the security and compliance track at re:Invent useful. Splunk Principle Product Manager Randy Young wrote a great blog post walking through many of the features of the app, which you can read here. To learn more about Splunk, visit the company’s AWS Partner Directory listing.